Log on to Windows with administrator account. Browse to the above location. 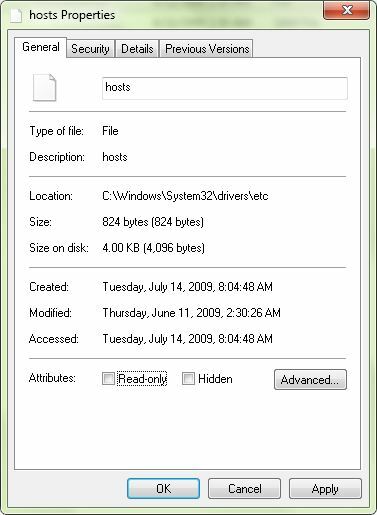 Right-click the hosts file and from the drop down menu click on Properties. Uncheck the READ ONLY checkbox. You will be needed to provide administrator permission to perform this task. Now copy this file to some other location on your computer. Open the copied file in Notepad. In the opened file, go to the bottom and add a new line specifying the IP address of the trusted website followed by its corresponding URL. You can also add local server addresses such as 192.168.100.200 my.server to allow local addresses to be used when using VPN. 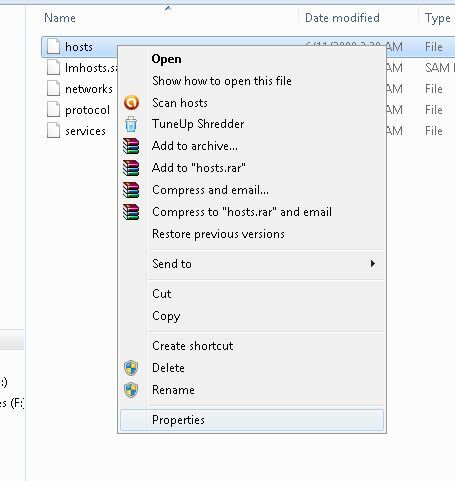 Paste the file back at its original location. Restart the computer to allow the changes to take effect.